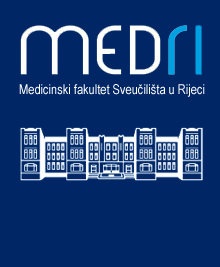 Metabolic syndrome presents a significant public health problem today, in Croatia as well as the rest of the world, considering the fact that the World Health Organization classifies its diagnostic criteria, such as high blood pressure and obesity, among ten major risk factors for health. The research of the prevalence of metabolic syndrome among the inhabitants of the island of Cres included a total of 385 adult subjects, 249 women and 136 men. The incidence of metabolic syndrome in two subpopulations of the inhabitants: the inhabitants of the town of Cres (urban population) and the inhabitants of other settlements (rural population), was analysed. The incidence of metabolic syndrome among the inhabitants of the island of Cres was determined according to definitions of the WHO (World Health Organization) and the NCEP-ATP III program (National Cholesterol Education Program – Third Adult Treatment Panel III). It was established that the overall prevalence of metabolic syndrome on the island of Cres was 14% according to the WHO definition (20.6% in men and 10.4% in women) and 24.9% according to the NCEP-ATP III definition (33.1% in men and 20.5% in women). The study also showed that the prevalence of risk factors for developing metabolic syndrome and complex diseases was much higher among the subjects from other settlements than among the subjects from the town of Cres, a consequence of age and a lifestyle with lack of physical activity.